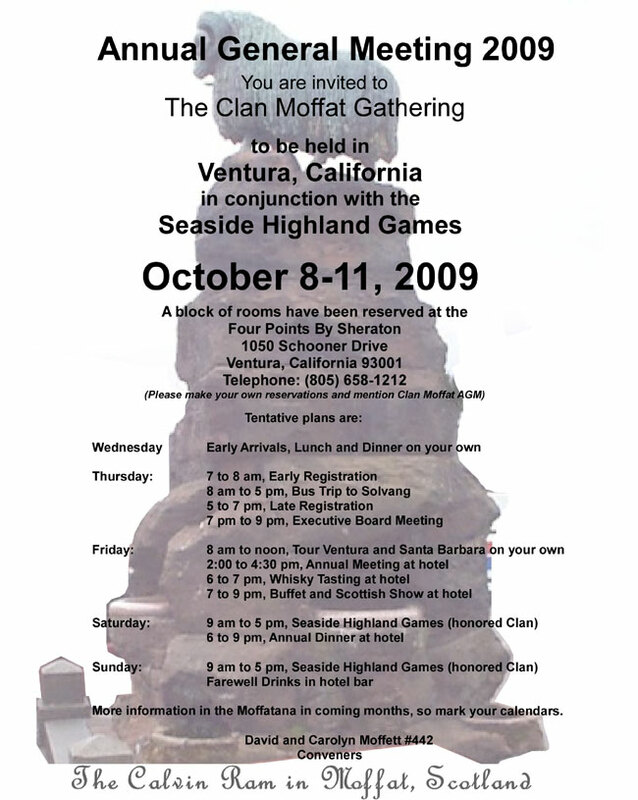 The Clan Moffat Society AGM for 2009 will be held in Ventura, California during the weekend of 8–11 October 2009. It will be held in conjunction with the Seaside Highland Games . The Registration form is available - click here to download. You are Visitor Number 4,484 to see this.